The annual Festival De Cannes is held in Cannes, France and features previews of new films of all genres. This year's festival will begin on May 11th and last until May 22nd. 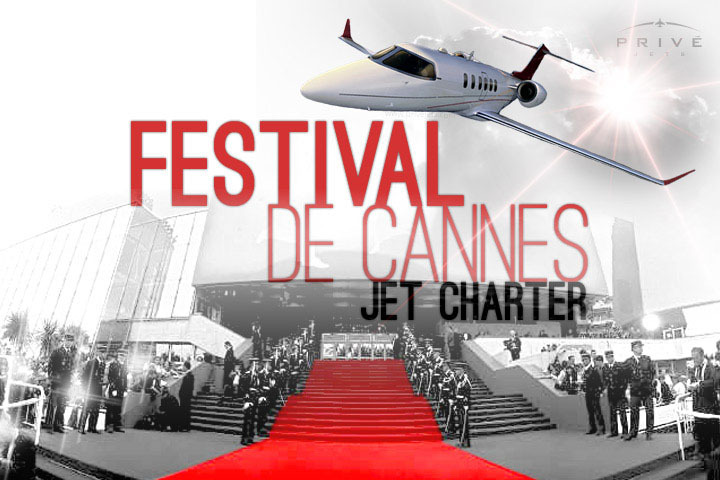 Charter a private jet and arrive to the event in luxury and style. Most European airports are heavily congested, and require a slot reservation system. The busiest airports in Europe are London Heathrow, Paris Charles de Gaulle Airport, the Frankfurt Airport and the Nice Côte d’Azur Airport. The Masters is one of the four major tournaments played each year in men’s professional golf. The Masters Golf Tournament is held at the Augusta National Golf Club in Augusta, Georgia. This event attracts domestic and international flights to the tournament location. The Super Bowl is one of the busiest times for general aviation. Days leading up to the big game, the FAA will implement the use of a slot reservation system at airports closest to where the event is being held. Nestled in the shadow of the majestic Colorado Rockies, the Aspen Airport sits at 7,815 feet above sea level. From December to January, the FAA requires that the airport operate on a reserved airport slot system for departures and arrivals. Airports in the United States rarely operate on a slot reservation system, because of the large number of executive and commercial airports. The FAA will only require U.S. airports to implement a slot reservation system during busy travel seasons and special events. An airport slot is the permission for aircraft to land and takeoff at a particular time and date. The way in which slots are reserved can differ depending on the destination, especially during high seasons and special event periods.